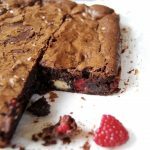 Raspberry and white chocolate brownies – gooey dark chocolate brownies studded with white chocolate chunks and juicy fresh raspberries! Calling all fudgy brownie lovers! If you like your brownies less cakey and a lot more fudgy, then this is the recipe for you. These brownies are rich, chewy ok the outside and super fudgy on the inside. I’ve know I’ve said fudgy a lot, but I can’t emphasise it enough! I’ll let you into a little secret…. Do you want to know how I get that desirable crackly, wafer thin top on the brownie? By mixing the sugar and chocolate together when the chocolate is still a little warm. A simple trick, but it works for me every time! 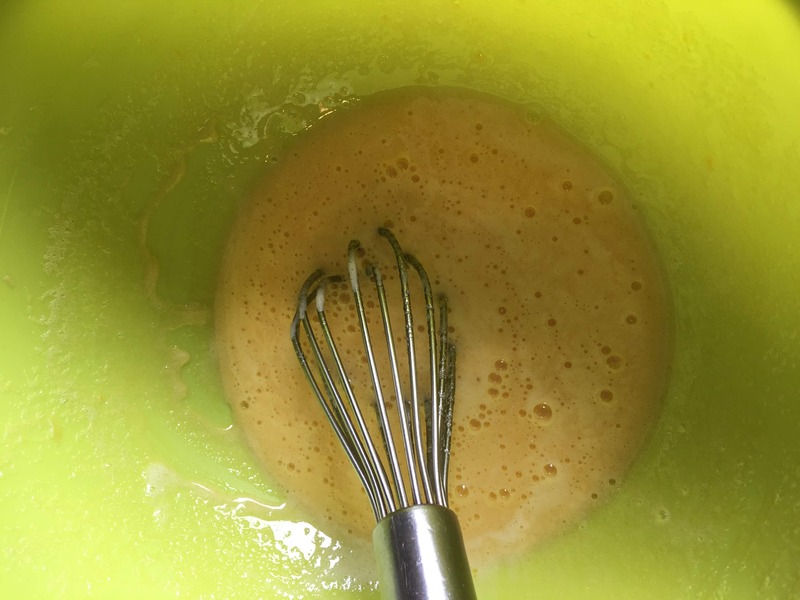 Whisk the eggs and sugar together well…. And bake! Leave to cool completely in the tin before cutting, or the brownies will collapse. How long will the brownies last? Since these brownies contain fresh fruit, they have a shorter storage life. They will keep well in the fridge for up to 2 days. Can I freeze the brownies? Yes! In fact they freeze very well. Wrap them in baking paper then cover well with tin foil before freezing for up to 2 months. I wouldn’t recommend using frozen raspberries – they contain far too much water and make the brownies too wet and heavy. I made this mistake once – never again! Fresh berries all the way. I use any supermarket brand dark chocolate for the brownies – and yes, the 30p 100g bars are absolutely fine! 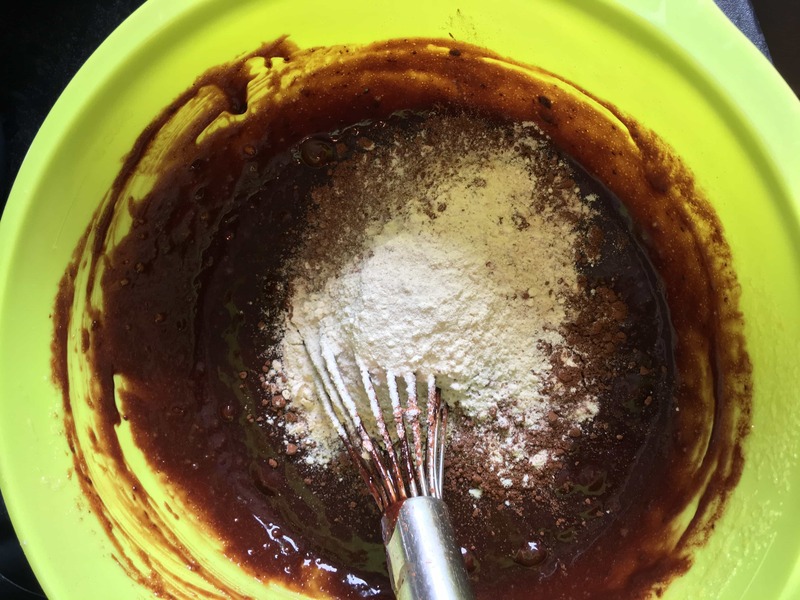 Adding cocoa powder gives the brownies an extra depth of flavour. This post was originally published July 2015. Republished with new photographs March 2019. Gooey dark chocolate brownies studded with creamy white chocolate chunks and juicy fresh raspberries! Preheat oven to 180c. Grease and line a 22cm square tin. 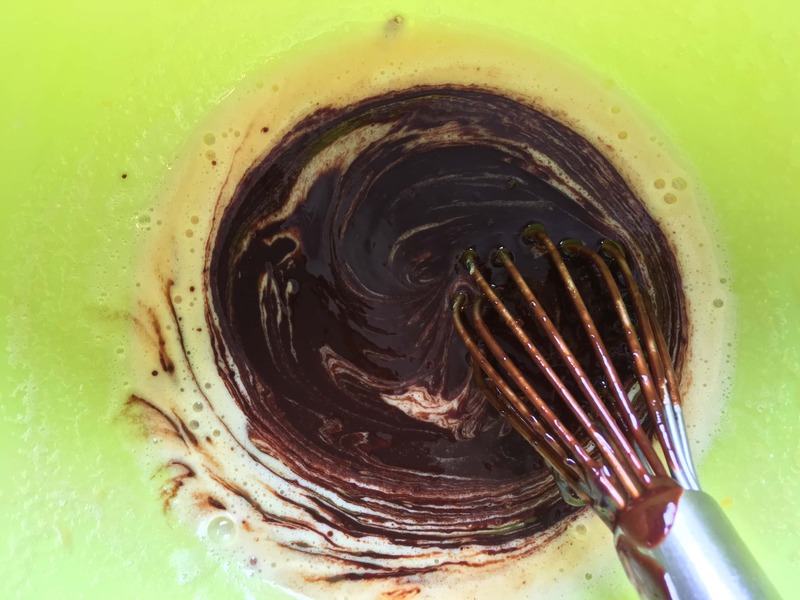 Melt the butter and chocolate together in a small pan, stirring occasionally until smooth. Whisk the eggs and sugar together, then add the melted chocolate. Stir in the flour, cocoa powder and white chocolate chunks. Pour half the batter into the tin, place the raspberries on top of the batter, then drop spoonfuls of batter on top of the raspberries. Use a spatula to spread the mixture out so all the raspberries are covered. Bake for 35-40 minutes or until the top is set - the brownies should still have a slight wobble in the middle. Leave to cool in the tin (I always leave mine overnight for easier cutting) before cutting into squares. Wow! Sounds good. I want to make them for my nephew! YUM! I wish I hadn’t seen these, now I need brownies! Love what I’ve seen of your blog, look forward to following.